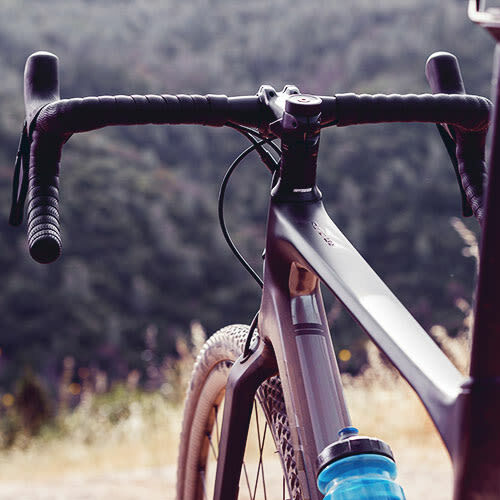 All-new gravel-riding geometry features endurance positioning and shorter chainstays. 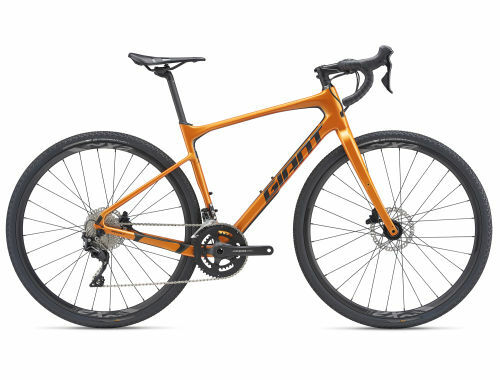 The result is precise handling, agility and control in all situations, from out-of-the-saddle road climbs to fast and rugged dirt road descents. An innovative new Contact XR D-Fuse handlebar and D-Fuse seatpost work as a system to help absorb shock without sacrificing the stiffness needed for aggressive road performance. Added frame clearance for high-volume 45c tires help smooth out rough roads, gravel and dirt. The Advanced composite frame maximizes pedaling power with all-round versatility, giving Revolt Advanced a smooth, fast ride quality on variable riding surfaces. 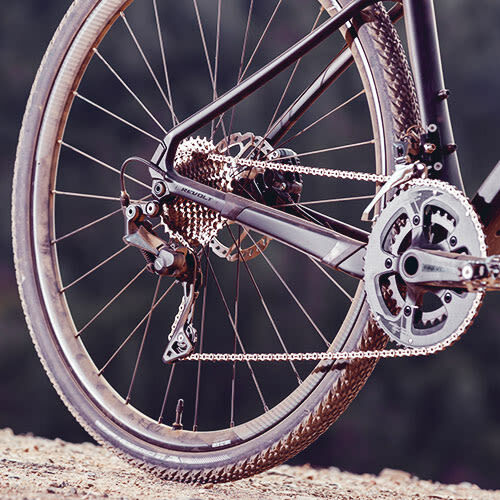 This is a performance gravel bike that’s equally adept at tackling paved roads or dirt. That versatility comes in handy when your ride includes a little bit of everything. It’s designed around a lightweight Advanced Composite frameset with endurance geometry, so you can tackle long, hard rides with less fatigue. A composite fork eats up bumps, and the D-Fuse seatpost and Contact XR D-Fuse handlebar absorb shocks and vibrations. The frame is integrated for disc brakes and has clearance for larger tires up to 45c so you can float through the rough stuff. You can also choose smaller diameter 650B rims and even higher volume tires for added control in the most rugged off-road terrain. Add in some clever frame details including three water bottle mounts, the X-Defender downtube protector and smart mount system for racks and accessories, and you have everything you need for your gravel adventures. High-performance grade raw carbon material is used to produce this custom frame material in our own composite factory with a high stiffness-to-weight ratio. The front triangle of the frameset is assembled and molded as one continuous piece in a proprietary manufacturing process called Modified Monocoque Construction. Composite fork with an OverDrive tapered steer tube absorbs road shock and vibrations and allows for added tire clearance up to 45c. 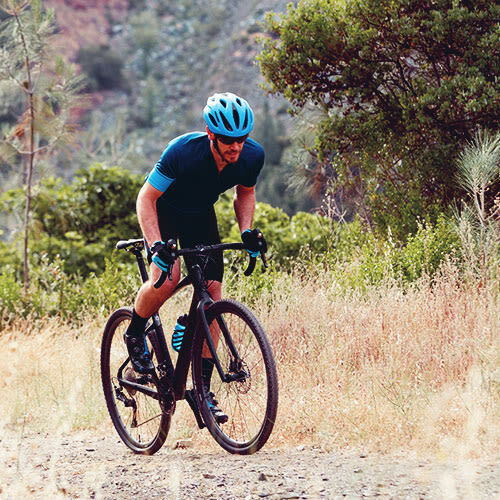 Proprietary D-shaped composite seatpost and handlebar work together to dampen vibrations and absorb road shock, resulting in a smooth, compliant ride quality. Frame is engineered with flat-mount disc brake integration for superior braking performance in all weather and road conditions. Compatible with third party accessories, this integrated mounting system makes it easy to customize with racks, fenders and more. Giant Unveils All-New Revolt Advanced Gravel Bike!